Is there profit to be made in Chinese stocks? It’s a question that many investors are asking. Maybe you are too. The Shanghai Composite Index has been battered lately, dropping 20% and signaling that the Middle Kingdom is officially in a bear market. 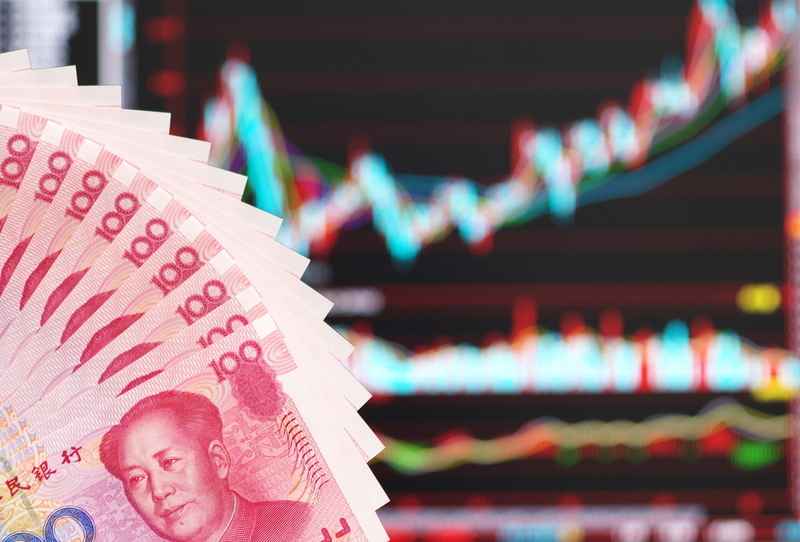 A bear market in an economy of that size, coupled with the ongoing trade war between the U.S. and China, is a recipe for investors to be concerned, especially retirees who have a diversified portfolio that includes non-U.S. stocks. So is there profit to be made in Chinese stocks? Yes, if you know where to look. One of the benefits of investing in Chinese companies has been the restrictions they place on foreign companies doing business in their country. This has allowed Chinese startups to quickly profit from the innovation of other countries. Use of these restrictions is a disputed practice, but for investors, it creates a great opportunity. While they have started to loosen those restrictions in certain sectors, they remain in place for many of the key sectors that are fueling their growth, most notably media, the internet, and agriculture. Many of the companies we will look at are mirrors of a U.S. company in the same sector. In the following slides, we’ll review seven Chinese stocks that continue to stand out despite the uncertainty regarding trade. While the stocks do not appear to be cheap from a valuation standpoint, the fact that China is such a big market is rewriting the rules, and these companies still appear to be in growth mode. Tencent Holdings (OTC: TCEHY) - Before buying Tencent Holdings, investors need to ask themselves which narrative they believe. Has the stock seen its best days now that it has declined by 25 percent since hitting its high in March? Or is that recent decline just a bump in the road for a stock that has nearly doubled in two years and, according to at least one portfolio manager, is a company that “is capable of growing 30% annually for a long period of time.”? Tencent, the first Chinese company to have a valuation of over $500 billion, is largely unknown in the United States, but that seems about to change. This is largely due to Tencent’s WeChat social media platform that has the size of U.S. social media giants Facebook and Twitter (it went over 1 billion users in March), but has a broader scope that allows them to reach the consumer at many touch points, making the platform very appealing for advertisers. In addition to traditional social media, WeChat embraces mobile payments, streaming content, cloud-based computing, and recently online gaming. And that’s where the question may be answered. Although the government in Beijing has put a moratorium on approving new games (not just for Tencent, but for any provider), the size of the Chinese digital gaming community will make it impossible for that freeze to stay in place much longer. Skeptics will point to Tencent’s valuation which, as measured by their P/E ratio, is 37 – not too far off their high of 40. There is also a growing sell sentiment regarding China stocks in general, and the liquidity of Tencent feeds into that. Still, if you’re looking for a stock that is capturing the minds, and wallets, of where the real growth is happening in China, it would seem Tencent’s best days are still to come. Ratings Breakdown: 0 Buy Ratings, 0 Hold Ratings, 0 Sell Ratings. Alibaba (NYSE: BABA) - Although reporting strong 1Q 2019 earnings, Alibaba's stock was punished, closing down nearly 3% after the announcement. Still, the strong volume with which the stock traded after the earnings report lent credence to the idea that investors didn't quite to know what to think about Alibaba. Alibaba competes in many of the same spaces as Tencent Holdings. But whereas Tencent leads with social media, Alibaba leads with e-commerce. And when we say leads, we really mean leads. It’s fair to say that Alibaba is the Amazon of China. Case in point, if projections are accurate and the Chinese online shopping market reaches a gross merchandising volume (GMV) of $1.57 trillion in 2020, Alibaba stands to capture a share that exceeds $1 trillion. And that’s just China. Alibaba is making serious overtures into India. In addition to its population and geographic proximity, India represents a largely untapped, but growing, e-commerce market. The market is expected to reach $25 billion by the end of 2018, an increase of over 5% since 2016. By 2022, the market is expected to be in excess of $52 billion. Alibaba isn’t stopping there. As we mentioned above, they are a competitor of Tencent in the areas of cloud computing as well as streaming media. The fundamentals for Alibaba are strong. Average consensus earnings estimates are for approximately $7.73 per share in the fiscal year 2020. This would have the stock trading at just 22 times forward earnings. It would also be up over 30% from this year’s expected EPS of $5.84. If those projections are accurate, then Alibaba would have a current PEG ratio of just 0.68. When you consider they are the unquestioned market leader and will be for the foreseeable future, their current valuation would make this stock a bargain. Alibaba Group Holding Limited, through its subsidiaries, operates as an online and mobile commerce company in the People's Republic of China and internationally. The company operates in four segments: Core Commerce, Cloud Computing, Digital Media and Entertainment, and Innovation Initiatives and Others. It operates Taobao Marketplace, a mobile commerce destination; Tmall, a third-party platform for brands and retailers; Rural Taobao program that enables rural residents and businesses to sell agricultural products to urban consumers; 1688.com, an online wholesale marketplace; Alibaba.com, an online wholesale marketplace; AliExpress, a retail marketplace; Lazada, an e-commerce platform; and Lingshoutong, a digital sourcing platform. The company also provides pay-for-performance and display marketing services; and Taobao Ad Network and Exchange, a real-time bidding online marketing exchange in China; and digital payment and financial technology platform services. In addition, it offers cloud computing services, including elastic computing, database, storage, virtualization network, large scale computing, security, and management and application services, big data analytics, a machine learning platform, and Internet of Things and other service for enterprises; and payment and escrow services; and movies, TV drama series, online dramas, variety shows, news feeds, games, literature and music, and other areas through various content platforms, as well as develops and operates mobile browsers. Further, the company provides AutoNavi, a mobile digital map, navigation, and real-time traffic information; DingTalk, a proprietary enterprise communication and collaboration platform; and Tmall Genie, an AI-powered voice assistant, which helps consumers to shop, order local services, search for information, control smart appliances, and play interactive content. The company was founded in 1999 and is based in Hangzhou, the People's Republic of China. Ratings Breakdown: 26 Buy Ratings, 0 Hold Ratings, 0 Sell Ratings. Baidu, Inc. (NASDAQ: BIDU) - You’ll probably start to notice a theme. Baidu is China’s largest search engine provider, but they are rapidly branching out into other areas such as cloud computing, artificial intelligence (AI), maps, and security surrounding information technology. This is one of the reasons they’re considered the “Google” of China. Currently, Baidu’s stock is facing some headwinds as the actual Google has announced plans to re-enter the Chinese market with a censored search engine. Although the launch will undoubtedly be delayed until the United States and China resolve their current trade dispute, and some analysts question Google’s enthusiasm about entering a crowded Chinese search engine space, the announcement alone sent shares of Baidu tumbling nearly 8 percent. Still, analysts see a tremendous upside to Baidu stock. Consensus ratings label it a buy and project a 26% increase in the stock’s price target. Analysts also point out that Baidu’s position as the country’s leading search provider puts it in an ideal position as China’s online ad market continues to grow. However, as we noted, Baidu has a reach that goes beyond search engine technology. The company recently announced a partnership with The Ford Motor Company to develop a line of smarter cars in China. The cars will feature a proprietary in-vehicle infotainment system called DuerOS highlighted by Baidu’s AI technology. In early August, the company reported a 35% year-over-year increase in second-quarter profit to $3.18 a share. Analysts had expected profit to come in flat. At the same time, an increase in year-over-year revenue of 27.6%, to $3.93 billion beat analysts’ recommendations of $3.87 billion. Baidu, Inc. provides Internet search services in China and internationally. It operates through two segments, Baidu Core and iQIYI. The Baidu Core segment offers products for uses, including Baidu App to access search, feed, and other services using mobile devices; Baidu Search to access its search and other services through its other properties and Union partners; Baidu Feed that provides users with personalized timeline based on their demographics and interests; Haokan, a short video app; and Quanmin, a flash video app for users to create and share short videos. It also provides Baidu Post Bar, a social media platform; Baidu Knows, a question-and-answer community where questions are asked, answered, and organized by users; Baidu Encyclopedia; Baidu Maps that offers locations, and intelligent routing and navigation services; Baidu Input Method Editor (IME), a Chinese-language mobile keyboard; Baidu WenKu; Baijiahao; and DuerOS, a voice assistant platform. In addition, this segment offers online marketing services, which include pay for performance (P4P), an auction-based services that allow customers to bid for priority placement of paid sponsored links and reach users who search for information related to their products or services; Non-P4P services provide display-based marketing services and other online marketing services based on performance criteria other than cost per click; Apollo, an open source autonomous driving platform; and Baidu Cloud primarily provides AI solutions, cloud infrastructure, and other services to enterprises and individuals. The iQIYI segment provides online entertainment service, including original and licensed content; membership services; and online advertising services. The company was formerly known as Baidu.com, Inc. and changed its name to Baidu, Inc. in December 2008. Baidu, Inc. was founded in 2000 and is headquartered in Beijing, China. Momo, Inc. (NASDAQ: MOMO) - Data is the coin of the realm in the 21stcentury, and Momo clearly has an app for that. The company issued its first initial public offering (IPO) in 2014 and they haven’t looked back. The social networking giant has a mobile app that allows users to find and meet people with similar interests and who are near them. They were already the second-largest dating app in China when they acquired Tantan, a Chinese cousin to Tinder and the largest dating app in China. This combination of the top two dating sites in China bodes well for investors who are looking to profit as China looks to make online dating more acceptable. But where Momo is experiencing truly extraordinary growth is in the era of live-streaming videos. As the name suggests, this is where users stream a live broadcast of themselves and get paid for it in the form of “gifts” from the App Store or Google Play. The "e-tailers" pocket 30% of the gift with the remaining 70% being divided between Momo and the broadcasters. It's a comparable revenue stream to in-app video game purchases. And for Momo, the revenue it receives from these videos accounts for 83% of the $494 million revenue it reported in its latest quarterly earnings. And their base of paid subscribers, not including Tantan, is up year-over-year by 1.4 million. This is important since Momo is already proving very adept at monetizing their customer base. Their second-quarter results were further evidence of their strength. Non-GAAP earnings-per-share (EPS) was $0.66, a $0.05 increase over analysts’ projections and an 88.5% year-over-year increase from 2017. GAAP EPS was also up 89% year-over-year. Revenue followed suit, growing year-over-year by 58.3% to $494.27 million. Momo Inc. operates a mobile-based social and entertainment platform in the People's Republic of China. The company operates Momo platform that includes its Momo mobile application and various related features, functionalities, tools, and services to users, customers, and platform partners. It offers Momo mobile application that enables users to establish and expand their social relationships based on locations; interests; and recreational activities, including live videos, short videos, social games, and other video- and audio-based interactive experiences. The company was formerly known as Momo Technology Company Limited and changed its name to Momo Inc. in July 2014. Momo Inc. was founded in 2011 and is headquartered in Beijing, the People's Republic of China. Ratings Breakdown: 8 Buy Ratings, 1 Hold Ratings, 0 Sell Ratings. BeiGene Ltd (NASDAQ: BGNE) - Lest you think the only profit to be found in China stocks exists in the tech sector, we give you BeiGene Ltd. BeiGene is a familiar name in oncology circles and is the dominant player in the Chinese oncology market. One of the reasons their stock is drawing attention is the projected release of two new treatments, known as BTK inhibitors. These represent the leading edge of cancer research and are showing promise in shrinking or eliminating some B cell tumors. Adding to analysts’ enthusiasm, the company is projected to move another drug, Zanubrutinib, out of clinical trials this year. BeiGene posted mixed second-quarter results. The company hit on their top line with revenues growing to $52.8 million, but missing on their adjusted earnings per share (EPS) that came in at -$2.92. Analysts were estimating an EPS of -$2.06. Despite the announcement, the company picked up a series of Buy ratings. One of those was from Top Maxim Group analyst Jason McCarthy who is projecting a $225 stock price target, up about 46% from the stock's current price. BeiGene’s valuation has increased significantly in the past year and now sits at approximately $9 billion. BeiGene, Ltd., a commercial-stage biotechnology company, develops and commercializes molecularly-targeted and immuno-oncology drugs for the treatment of cancer in the People's Republic of China, the United States, and internationally. Its commercial products include ABRAXANE, a chemotherapy product for the treatment of breast, non-small cell lung, pancreatic, and gastric cancers; REVLIMID, an oral immunomodulatory drug for the treatment of multiple myeloma in combination with dexamethasone; and VIDAZA, a pyrimidine nucleoside analog for the treatment of intermediate-2 and myelodysplastic syndromes, chronic myelomonocyte leukemia, and acute myeloid leukemia with 20% to 30% blasts and multi-lineage dysplasia. The company's clinical stage drug candidates include BGB-3111, a small molecule Bruton's tyrosine kinase (BTK) inhibitor for the treatment of lymphomas; BGB-A317, a humanized monoclonal antibody for solid and hematological cancers; and BGB-290, a small molecule inhibitor of PARP1 and PARP2 for the treatment of homologous recombination deficient cancers. In addition, its clinical stage drugs include BGB-283, a small molecule RAF dimer inhibitor to treat cancers with aberrations in the mitogen-activated protein kinase pathway; BGB-A333, a humanized monoclonal antibody for the immune checkpoint receptor ligand PD-L1; BGB-A425, a TIM-3 inhibitor; MGCD-0516, a multi-kinase inhibitor; and CC-122, a cereblon modulator. The company has collaborations with Celgene Corporation, Merck KGaA, Mirati Therapeutics, Inc., Zymeworks, and Ambrx, Inc. BeiGene, Ltd. was founded in 2010 and is based in George Town, the Cayman Islands. Ratings Breakdown: 9 Buy Ratings, 0 Hold Ratings, 0 Sell Ratings. Weibo Corp. (NASDAQ: WB) - It’s hard to imagine that a company whose active user base is nearly a million higher than Twitter and in its most recent earnings report had increased that user base by 70 million people (compared to Twitter adding 6 million in the same period) would be the victim of elevated expectations, but such is the case for Weibo Corp. Weibo is a social media giant in China and, like many of the companies on this list, they use social media as a jumping off point for a range of services including videos, photos and live streaming of content that allow them to monetize their user base in exciting new ways, including through its BABA-backed “Weibo Payment” that facilitates e-commerce and virtual gifting. To that end, the company announced an increase in sales of 79% in May, with year-over-year revenue increasing by 76%. Earnings per share also nearly doubled year-over-year from $0.26 to $0.50. However, upon the release of these earnings, the company’s stock price dipped 15%. Still, one analyst is projecting Weibo’s stock to soar to $160, which would be an 80% increase from its current level. Weibo Corporation, through its subsidiaries, operates as a social media platform for people to create, distribute, and discover Chinese-language content. It operates through two segments, Advertising and Marketing Services, and Value-Added Services. The company offers self-expression products that enable its users to express themselves on its platform; social products to promote social interaction between users on its platform; and discovery products to help users discover content on its platform. It also provides third-party online games, including role-play, card, and strategy games, as well as various services and functions to VIP members. In addition, the company offers advertising and marketing solutions, such as social display advertisements; and promoted feeds, accounts, and trends enable its customers to promote their brands and conduct marketing activities. Further, it provides copyright content, such as TV channels, online video Websites, and operators with copyright content through traffic resource exchange and content traffic sharing; MCNs and other self-media to manage and provide services to content creators on Weibo, such as MCNs, unions, and e-commerce partners; other app developers an application platform which allows users to log into third-party applications; and Weibo Wallet products that enable platform partners to conduct interest generation activities on Weibo. The company was formerly known as T.CN Corporation and changed its name to Weibo Corporation in 2012. The company was founded in 2009 and is headquartered in Beijing, China. Ratings Breakdown: 6 Buy Ratings, 9 Hold Ratings, 0 Sell Ratings. Yum China Holdings, Inc. (NYSE: YUMC) - Yum China is the exclusive licensee of KFC and Pizza Hut franchises in China. It may be hard for us in the United States to think of Pizza Hut as upscale, but that’s the case for the franchise in China. That creates both a challenge and an opportunity. But in this large market with such a high potential for growth, investors are excited about the company's new initiatives which include a new store concept for Pizza Hut, a customized menu for both brands to better cater to local tastes, as well as their commitment to using technology to enhance digital and delivery efforts. Another reason for excitement about Yum China is its aggressive effort to build new restaurants in what is still a developing market. In 2018 alone, the company has opened 365 new locations. That number is already an increase of over 6% from 2017 and it is projected to grow. In fact, Yum China believes the country has the potential to support 20,000 KFC and Pizza Hut stores. On a pretax basis, the company can recoup its investment into these new restaurants in approximately two or three years, providing a hedge against unpredictable same-store sales. Second-quarter net income increased to $143 million, or $0.36 per share, a year-over-year increase from $125 million or $0.31 per share. The top line showed strength as well with revenue growing to $2.1 billion, a 12 percent year-over-year increase. Yum China Holdings, Inc. owns, operates, and franchises restaurants in China. The company operates in two segments, KFC and Pizza Hut. It operates restaurants under the KFC, Pizza Hut, Taco Bell, East Dawning, and Little Sheep brands, which specialize in chicken, pizza, hot pot cooking, Chinese food, and Mexican-style food categories. The company also provides online food delivery services. As of December 31, 2017, it operated approximately 5,400 KFC restaurants; 2,100 Pizza Hut restaurants; 280 Little Sheep units; 10 East Dawning restaurants; and 3 Taco Bell restaurants. Yum China Holdings, Inc. was incorporated in 2016 and is headquartered in Shanghai, the People's Republic of China. Ratings Breakdown: 3 Buy Ratings, 4 Hold Ratings, 0 Sell Ratings. China is a complex country, with an equally complex economy. While there are many geopolitical factors that weigh on and will continue to impact China stocks, the sheer size of the market makes it an impossible opportunity to ignore. The fact is that it’s hard to get an accurate barometer on Chinese stocks because the sheer size of the population skews a lot of our conventional thoughts about growth potential. These growth stocks, however, represent the areas where the Chinese are putting their innovation to work and are trading at levels where analysts see tremendous upside potential.